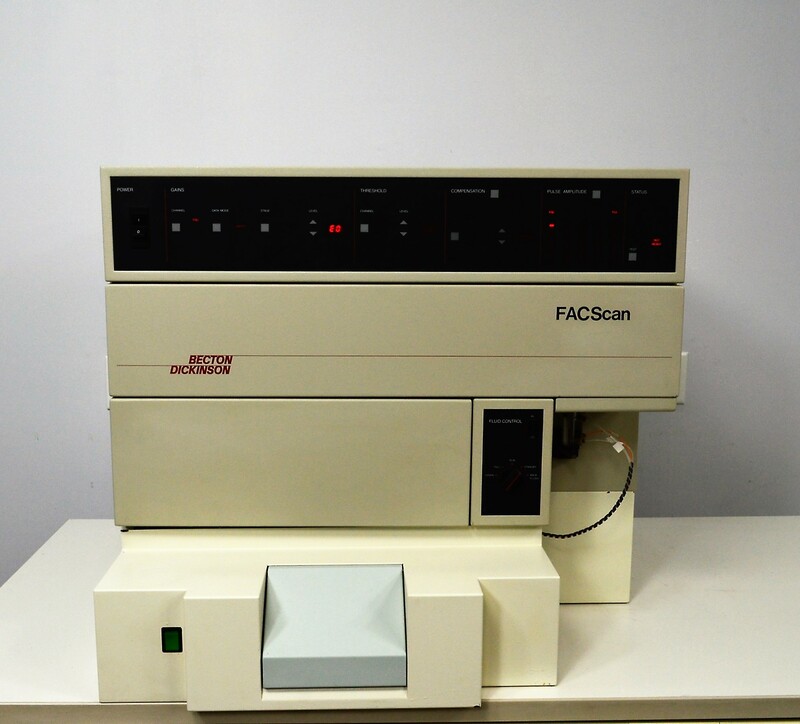 Becton Dickinson FACScan Flow Cytometer Cell Analysis . New Life Scientific, Inc. This BD FACScan is in good cosmetic condition externally, but there is corrosion internally. Both wear and age suggest this system was used, but the frequency cannot be determined. The FACScan appears suitable for use and will require additional components to complete the system, prior to application. New Life Scientific technicians were unable to fully test this system, but supplied power to it without error. The customer will need to supply jugs, the PC and software, and consumables before this instrument can be used; these missing components could not be bypassed for testing purposes. This system is incomplete as-is and not ready for applicaiton. Please refer to the pictures or contact us for more information. Please refer to this manual for more information about the FACScan system.